Because I grew up IN America, I have always had access to clean water, good health care, and the English language (spoken as a first language by 400 million around the world . . . the third most common language on the planet). Because I grew up IN the area of the country I did, it is normal for me to have churches on every corner and (at least in part) a biblically informed worldview. Because I grew up IN Oklahoma, I love college football and used to play out of the wishbone formation in the front yard on a regular basis. Because I grew up IN the 1980’s, I think Bon Jovi’s “Wanted Dead or Alive” is one of the finest songs ever written . . . and I am right. Because I grew up IN a great family, I have a foundation of commitment, love, and opportunity. Because I grew up IN Bartlesville, Oklahoma, I had access to great public education, sports teams, and friendships. Because I was able to get IN to Dallas Theological Seminary, I was able to learn from great men like Hendricks, Swindoll, Constable, and Hannah. Because I serve IN Wildwood Community Church, I am surrounded by some of the greatest people I have ever known. Because I am IN a marriage with my wife, I am blessed every day by her friendship and partnership in life. See . . . the crowds I am IN greatly shape me. You probably could make a similar list. In the first century, the people of Ephesus lived IN a very influential city. It was common for the Ephesians to think they were blessed because of the city they were living IN. Because they were IN Ephesus, they would feel blessed by the gods, because of the large temple in their city. Because they were IN Ephesus, they would feel blessed financially because of the industry in their town. Because they were IN Ephesus, they would feel like a leader in the world, as many from other cities came to trade goods or enjoy the high quality of living in this Asian town. They believed the crowd they were IN was the chief source of their blessing. However, as the Apostle Paul writes a letter to the Christians in this city, he shares with them a different message. Paul affirms that they are richly blessed . . . but he points to a totally different source of their blessing. 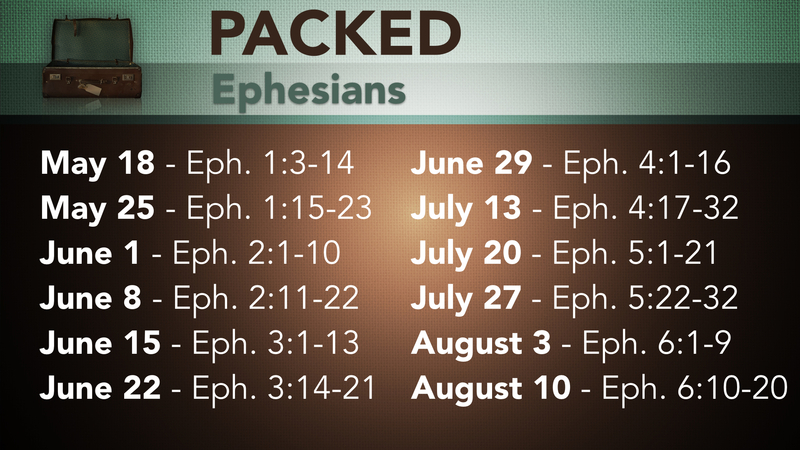 According to Paul, the Ephesians are not blessed because they are IN Ephesus . . . they are blessed because they are IN Christ! 9 times in the first 14 verses of Ephesians, and 36 times overall in the letter, Paul reminds them that they are IN Christ. It was their spiritual position in Jesus that made them blessed, not their physical location. And, while the city of Ephesus would one day lie in ruins, their blessing would go on and on . . . because Jesus had blessed them spiritually, not just with physical things, and His blessing was not subject to decay. So, as you reflect on the many ways your life is blessed, don’t just look at the crowds you have been IN as the source of your blessing. If you know Jesus, the source of your blessing is found not because of where you are, but because of whose you are. 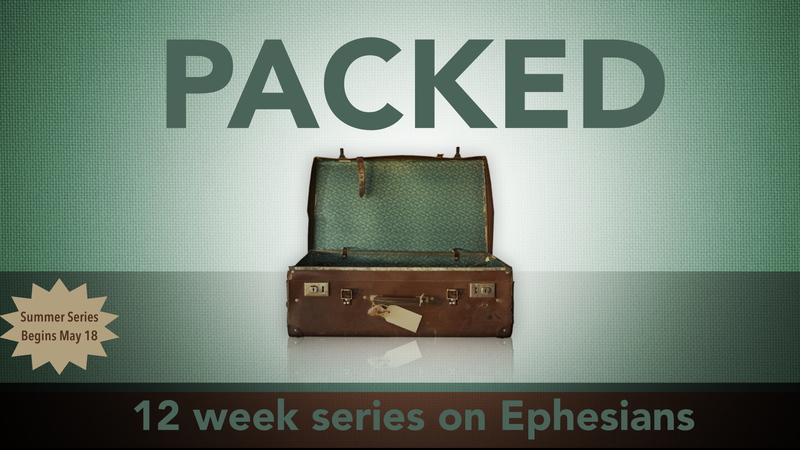 This Sunday I will be expanding on this idea in the first sermon of the “Packed” series. If you can make it to Wildwood Community Church to either the 9:30 or 10:50 service, I would love to worship with you this weekend!